Boost the interior image of your Honda Ridgeline by getting a new set of Husky Liners floor mats installed! Our selection of Husky liners floor mats includes purpose-built custom and universal fit options aimed to keep your carpeting absolutely free from damage and your interior clean. They're made tough to take any abuse and are far more superior than your average OE floor mats. 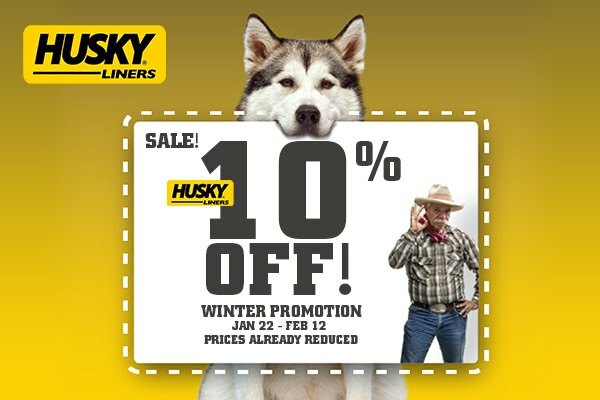 Don't miss your chance to buy Husky Liners and get a 10% discount on ALL products. Deliver the finest protection for your vehicle's carpeting with Husky Liners at CARiD. Hurry up, this offer is valid until February 12, 2019, only.